Michelin has launched an online service that allows motorists to leave reviews of tyre dealers as part of a drive to improve consumer power. Tyre Dealer Reviews is a website where drivers share their experience of areas like service and price, as well as provide a rating out of five stars, to help fellow car owners make an informed decision when looking for a tyre fitting service. 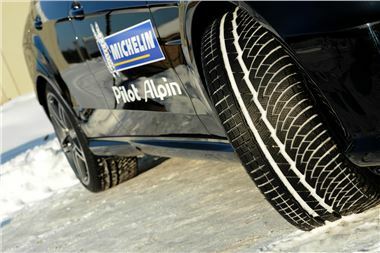 Jianni Geras, Michelin UK's head of marketing, said: "At Michelin we are keen to champion consumer power and help drivers make informed choices about the tyre dealers they use. "Tyre Dealer Reviews will be a vital tool for motorists seeking the best service. It will also provide well-earned recognition for dealers who work hard to assist their customers in every possible way." The site is already up and running and reviews are flowing in. The site also includes a useful dealer search facility by either name or postcode - and if your local dealer is not listed then you have the opportunity to add it. Geras added: "We are urging drivers to leave reviews. It's quick and easy and will place more power in the hands of the motoring community."